Just released the filters I use to edit the photos I post to my Instagram. 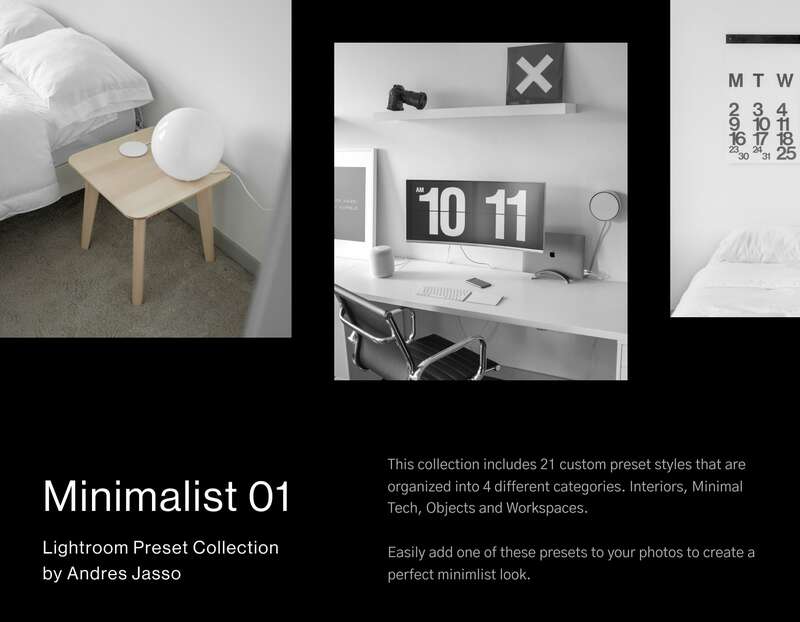 Check out the Lightroom Preset – Minimalist 01 product page to see examples and download them. Just released the filters I use to edit the photos I post to my Instagram. Check out the live product page now to see examples and download them. A monthly collection of high-res minimal shots of my personal workspace and productive desk layouts.